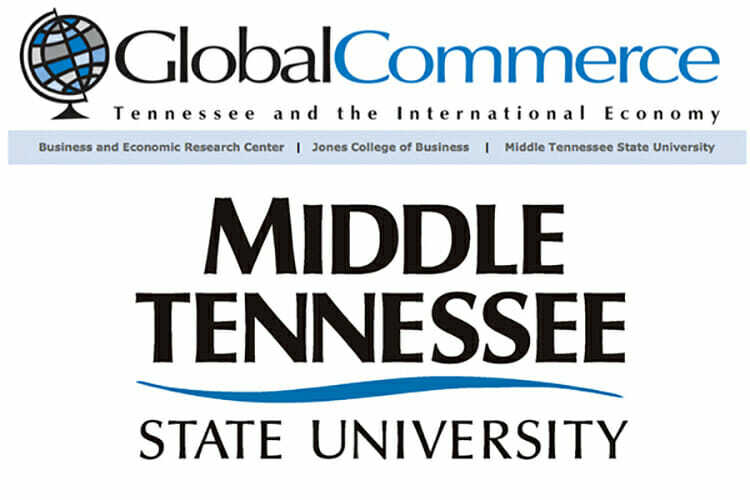 MTSU Out of the Blue: October ..
Tennessee’s exporters had a somewhat ho-hum second quarter, according to the latest “Global Commerce” report from MTSU’s Business and Economic Research Center. “The state turned in a solid, but uninspiring, export performance for the second quarter of this year,” said Steven Livingston, BERC associate director and a professor of political science and international relations at MTSU. Livingston noted that “significant declines” in Tennessee’s shipments to Canada of automobiles and of computers were the major reason for this relatively modest performance. The state’s exports to most other regions was much stronger than north of the border. East Asia and the Gulf states were two particularly good markets for Tennessee’s exporters for the quarter.